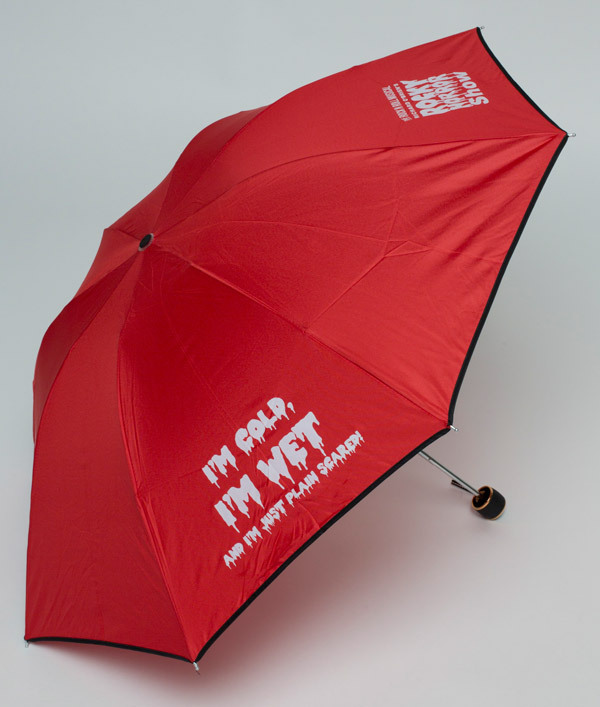 We knew this Umbrella was on the way and it's turned out even better than we'd hoped. 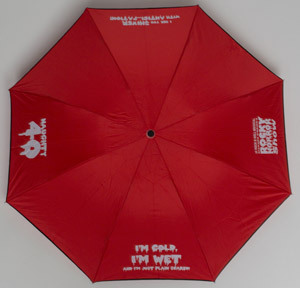 Wonderful folding brolly with the RHS and 40th logos, plus a couple of suitable quotes from the show "I'M COLD. 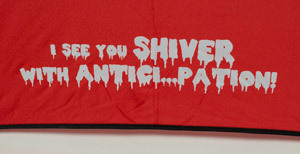 I'M WET AND I'M JUST PLAIN SCARED" and "I SEE YOU SHIVER WITH ANTICI...PATION". 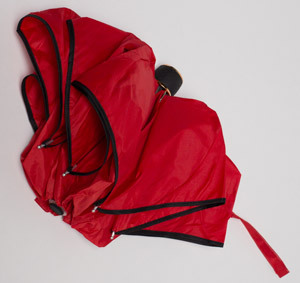 The brolly also has a nice black trim line all the way around, stylish! 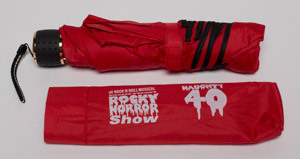 The Brolly folds down to 91/2" (24cm) long and comes with a nice slip case again with the main logos on. Just the size to fit into you bag. Details of the logos and messages. 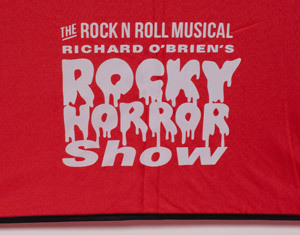 All merchandise items photographed for and by TimeWarp with permission.